For most organisations, Secure Shell (SSH) key credentials are left unprotected and leave the door open to be exploited. System administrators and automated applications, which use SSH keys for authentication and access, have the highest level of rights and privileges for accessing servers, applications, and virtual instances. 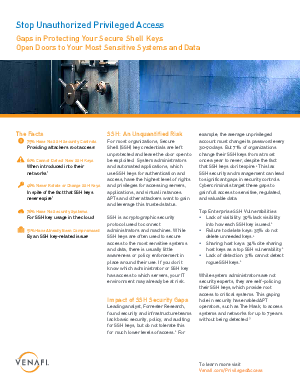 APTs and other attackers want to gain and leverage this trusted status.